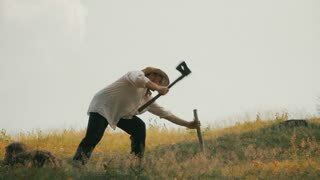 A farmer beat a stake into the ground. 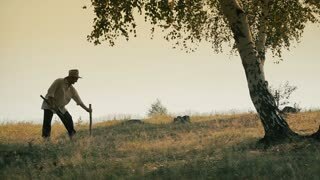 Dog walks around him. 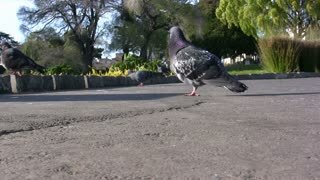 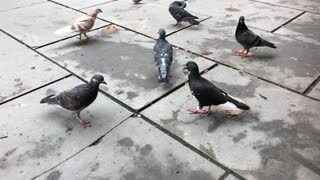 Pigeons gathering. 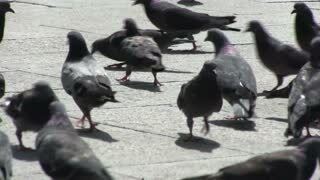 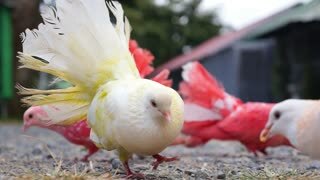 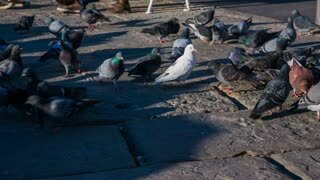 Big group of pigeons gathering on ground with one beautiful white pigeon.